Here are 20 photos from our current and ongoing aerial survey on the Lower River Shannon. The study is being undertaken to assess the ongoing impacts of the reduced post-Shannon scheme flows on this Natura 2000 river. The output of this and other surveys we are completing will be used to inform a management plan for the Lower River Shannon Special Area of Conservation. Here is a selection of aerial photos we took along this river corridor during summer 2015. Click on any of the photos to activate the galley. Also if you want to see some of the video that we recorded during the same period please visit the ECOFACT YouTube site. Many of the above photos shows the extent of unsustainable encroachment of alluvial woodland on this stretch of the river – a consequence of the low and unvaried compensation flow released from Parteen weir. 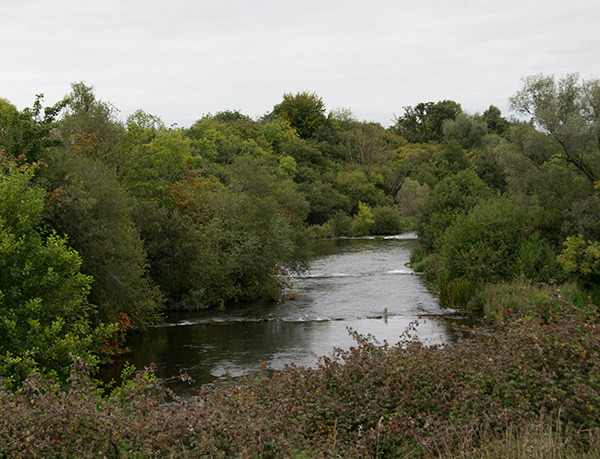 Since the Shannon Scheme this stretch of river receives a compensation flow of only 10 cubic meters of water per second (cumecs) which is equivalent to an extreme drought flow prior to the construction of Parteen dam. 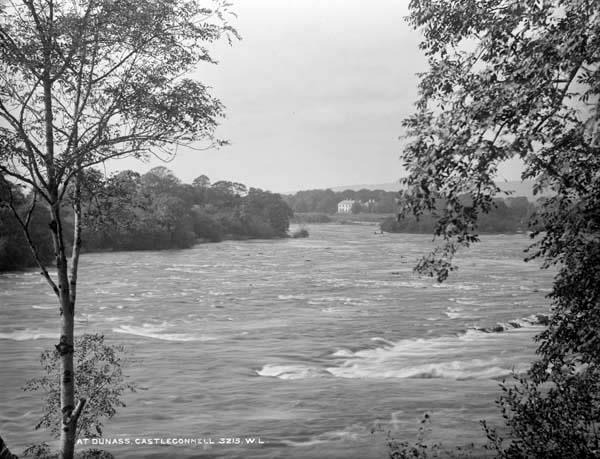 This has had a number of serious ecological and hydromorphological impacts on the river. In particular the unsustainable encroachment of alluvial woodland which is apparent in the photos below. Also some of the photos show the impact of instream “development” works used in a misguided effort to mitigate for reduced post-Shannon scheme flows. Same stretch of river September 2015. The unsustainable encroachment of alluvial woodland is apparent, and this is a direct consequence of the low and unvaried compensation flow .